"Presented by the Weed Sewing Machine Company of Hartford CT, manufacturers of the 'Hartford' and 'Favorite' sewing machines." "The Man Who Changed the World - You Never Heard Of..."
"The first new industry to emerge on Rifle Avenue after the Civil War was Weed Sewing Machine Company. It obtained the patent rights of the late Theodore. 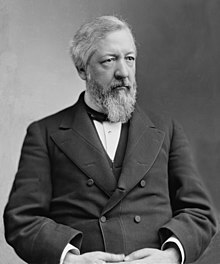 E. Weed of Fairfield, Connecticut, inventor of a sewing machine prized for its simple construction and ease of operation, making it competitive with the designs of Elias Howe (1846), Allen B. Wilson, and Isaac Singer. The Weed Sewing Machine Company took over empty space in the now-struggling Sharps Rifle factory before taking over the entire factory when Sharps failed in 1870. Its most popular model was designed by George A. Fairfield, the superintendent of the company. Additional information on theWeed Sewing Machine Company is found on page 45 of the Earl J. Arnold Advertising Card Collection - 1885. "Following up on the seminal insights of Nathan Rosenberg, this paper explores how, and how widely, technology converged among U.S. machine-tool using industries from 1815 through 1930. Convergence involved the invention and spread of machine tools, and both occurred in a variety of ways. Through the study of Brown and Sharpe company records, census data, and patenting by metalworking lathe inventors and machine tool firms, I argue that machine tools evolved through three stages of progressively wider convergence and different organizational forms. Through 1865, firms often made their own machine tools and used inventions in their own firms. Convergence was narrow, occurring through diversification by machinery firms, incipient sale of general purpose machine tools, and some worker mobility. From 1865 through the 1890s, machine tool firms became more central to the invention and dissemination of machine tools among industries. Widening mobility and new firm formation by workers trained by machine tool firms, along with some diversification, added to the convergence. After 1900, machine tool firms and their workers remained central to invention and diffusion for established industries and autos and other new sectors. But major innovations also emerged and spread from new sources making complements to machine tools, notably the steel and electrical industries, so that materials science and electrification had come to contribute to metalworking industries." "William Windom, Brady-Handy photo portrait, ca1870-1880" by Mathew Brady - http://hdl.loc.gov/loc.pnp/cwpbh.03920. Licensed under Public Domain via Commons.